COLUMBIA – This year marks Columbia’s 65th annual Fire in the Sky event and the tradition is expecting a good turnout, despite ongoing construction downtown. Currently downtown there are road closures on Elm Street, parts of Sixth Street, parts of Tenth Street, and parts of Locus Street. In addition, Columbia Parks and Recreation will be shutting down Cherry Street and Locus street due to the Fire in the Sky event. 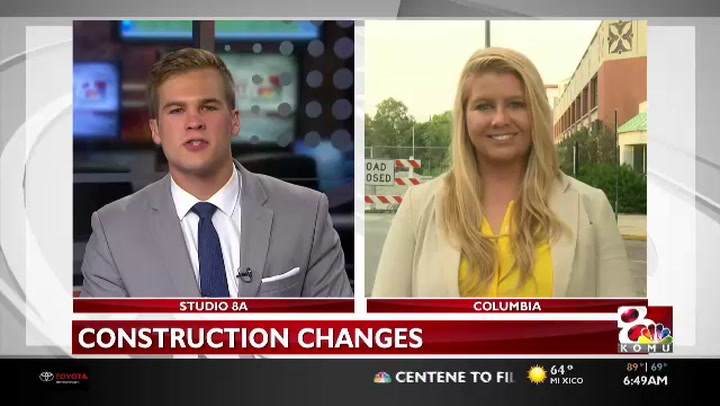 Columbia resident Trey Cook said construction in the summer is something he is used to so the road closures won’t hinder him from celebrating Independence Day. Columbia resident Matthew Murphy said he will probably come downtown earlier on Tuesday to avoid potential extra traffic due to construction to make the fireworks show. “I’m definitely still going to make it, but it will definitely make it a little harder to get down with me and some of my friends,” Murphy said. Activities and entertainment for Fire in the Sky will start at 6:30 p.m. at Flat Branch Park and Peace Park. The fireworks show will begin at 9:15 p.m. and the fireworks will be launched from top of parking garage at Sixth and Cherry Street. The Columbia Police Department and Fire Department also would like to remind people that usuing and or possesing fireworks in the Columbia city limits is against the law. You can find the map of the full road closures for Fire in the Sky here.